BOTTLE ROCKET. Melissa Wilson bottles and labels her line of Melnaturel bodycare products at home in Eau Claire. 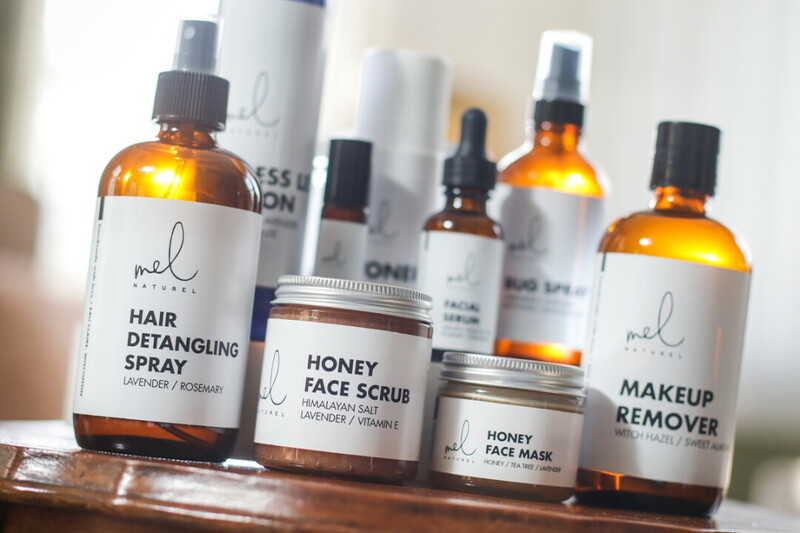 Melnaturel, a locally handmade, natural skin care line developed and marketed by founder Melissa Wilson, has grown substantially over the past year thanks in part to receiving a couple of grants to assist in launching new businesses. She reports she created her 16 products – which include hair detangler, bath bombs, facial toner, and serum – through trial and error, using the feedback of friends and family to perfect each one. People who learned about or used the products wanted to get more, which led to Wilson selling her products. Melnaturel was sold primarily on Etsy and at local events just a year ago. Then Wilson applied for and received two local grants which helped her business take off. The first grant came through Great Lakes Education Philanthropy, which allowed Wilson to hire four college students part-time to assist her with marketing. The interns helped with logo design, branding, product labels, website creation, accounting, photography, and more. “It’s been so fun watching their minds grow and learn marketing and business concepts to help a new start-up company grow,” Wilson said. Wilson also received the Red Letter Grant through Red’s Mercantile. “What seemed like a far-fetched dream has quickly become a reality because a panel of female judges believed in me and gave me some really great constructive feedback on how to make my brand grow – and I listened to everything they had to say and tried to improve and implement changes,” she said. Melnaturel has grown substantially since Wilson received the grants: She now offers products in 30 states, on a dedicated website, and on Amazon. She will continue to build on the knowledge and experience she received from the awards. In the future Wilson hopes to increase online sales, to expand sales of her products to additional retail locations, and to figure out how to keep up with the growth while continuing to sell handmade products. “I’m a big dreamer and the sky is the limit – I’m not sure where Melnaturel is going to take me but I’m nowhere near done yet,” she said. “This is just the beginning, and I’m excited to see what’s next. To learn more, or purchase Melnaturel products, check out melnaturel.com.